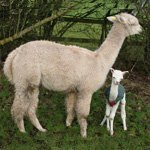 Weak newborns or sick cria might well benefit from plasma if their IgG levels are reduced due to poor, or lack of, colostrum from their dam. Plasma would usually be given orally within the first 12 hours of life, or via IV or IP if after this period. 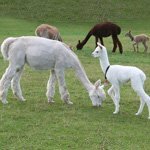 Failure of passive transfer from mother to cria will mean that the youngster hasn’t acquired an adequate immune system to fight infection. In these instances plasma can be a lifesaver. We recommend that all breeders have a supply of plasma in their freezer for such emergencies. Get your veterinarian to take blood from older geldings that are up to date with their vaccinations. We can spin down blood from your animals in our large refrigerated centrifuge for just £25. Your veterinary practice will be able to supply 450ml blood bags with anticoagulant. These should be filled as full as possible, kept in a cool bag and brought to us on the same day the blood is taken. After spinning, we draw off the plasma into 60ml syringes, again order them from your veterinarian, and then the plasma can be stored in the freezer until needed. 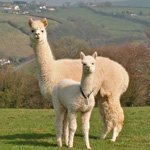 Each full blood bag will usually provide six of these syringes of plasma and we find that two (120ml) is sufficient for each cria. We need a minimum of two blood bags to balance the centrifuge.